Narrow flat neck to reduce impingement risk and for better mothion. Rough plasma sprayed porous surface. Bimodal fixation: Proximal compressed grooves design enlarge contact area, avoiding subsiding. 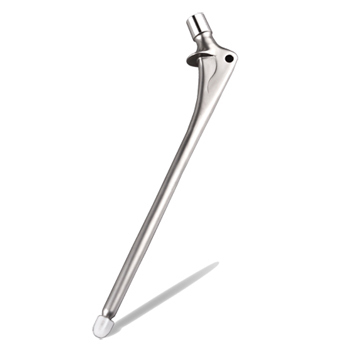 Unique highly polished offset stem tip to avoid endosteal impingement. 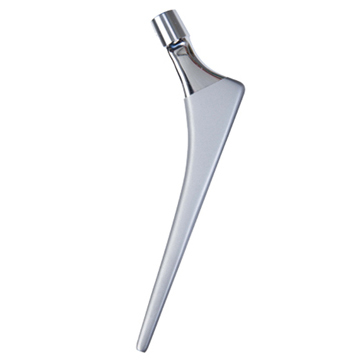 Distal highly polished and longitudinal groove design. 130 degree neck angle good for Asian. 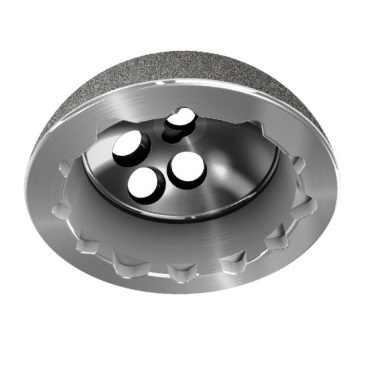 Narrow lateral collar part, which can be suitable for both traditional operation and MIS. 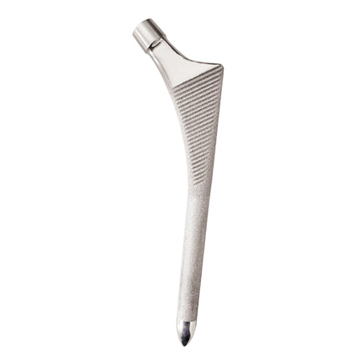 International 12/14 taper, which is fit for 22, 28, 32, 36 metal and ceramic femoral head. Proximal microporous coating effectively promotes bone ingrowth. And grit blasted femoral stem provides good surface for bone growth. 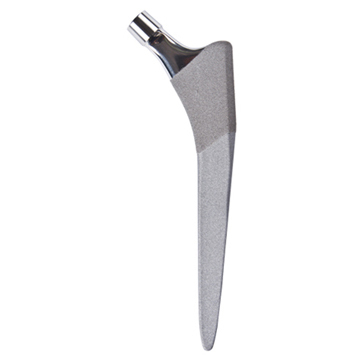 High polished and flat neck lowers the particle generation by rubbing with acetabular implant, and increases the range of motion. Rectangle cross section ensures intramedullary blood supply without filling fully with marrow cavity. Quick control the holder with thread, easy to use. 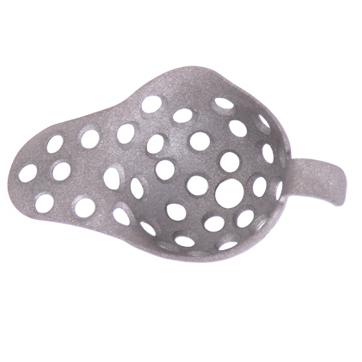 Precision forging Ti6Al4V material improves the biocompatibility, fatigue strength and reduces the elastic modulus. Easy for rebuild great trochanter. Ribs of both sides increase resisting rotation. Femoral head or neck fractures or malunion. Osteonecrosis of the Femeral Head. Primary THA failure, revision needed. Other indications for hip replacement. Ti+HA microporous coating.HA coating is as the second coating based on the Ti coating, which is good for bone ingrowth and bone apposition. 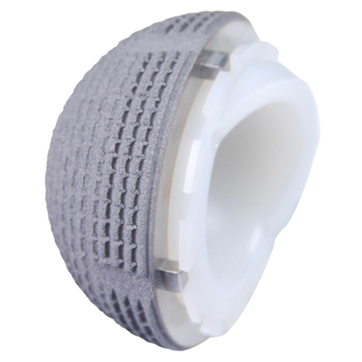 Distal vertical grooves effectively prevent rotation and decrease the intramedullary pressure, ensuring good blood supply. 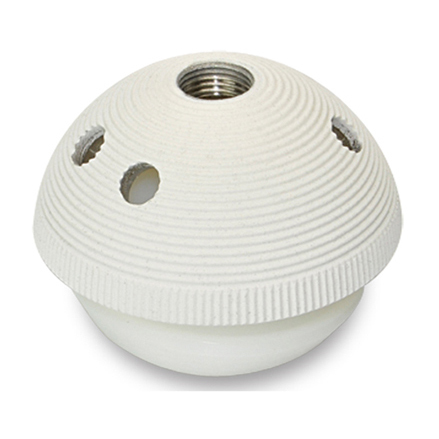 High polished and flat neck decreases particles generation caused by rubbing with acetabular implant, and increases the range of motion. Medial ribs provide enough compressive stress, which encourages bone to osseointegrate onto or into the implant. 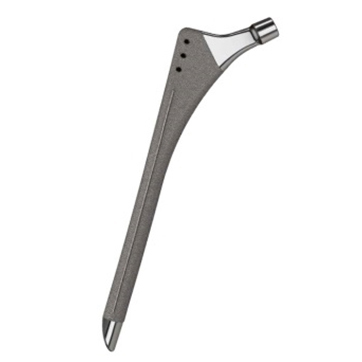 Short stem design, which is applied for both traditional and minimally invasive surgery. 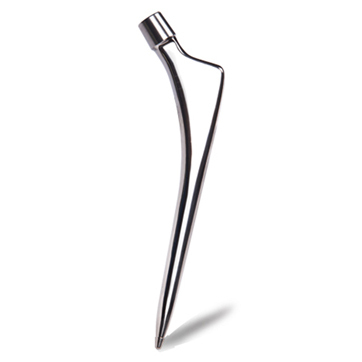 Reserve the anatomical structure, the short and narrow geometry of the stem and optimized length help minimally remove patient’s bone. 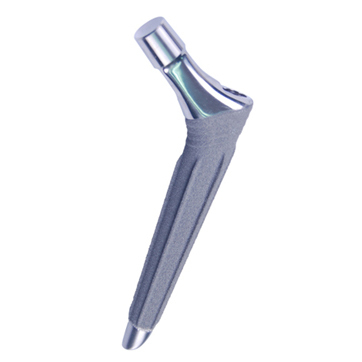 Patented offset tip design avoids thigh pain caused by impingement with cotex. Match with the third -generation bone cement technique. Patients have longer surviving life and better clinical results. Match with the third-generation bone cement technique. Apply to iliac bone superior large bone defects and iliac bone wing defect, acetabulum bone defect,before and after pillar large bone defects, fracture(bone bed seriousdefect). Match with high cross linked polyethylene liner. 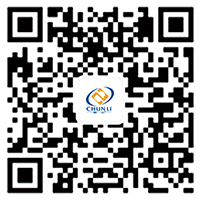 The shell made of forged Ti-alloy has high strength and light specific weight and low elastic modulus. Medical UHMWPE has better abrasive resistance. Groove design of cup improves grasping force. Matching with high cross linked polyethylene and ceramic liner, achieve a cup match multiple liner. liner and outer cup with locking mechanism, prevent liner taking off. 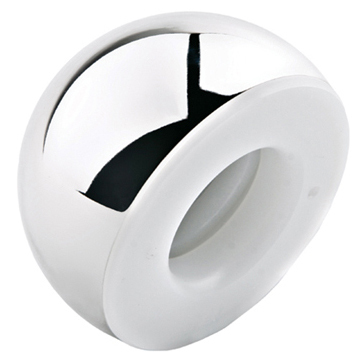 Mark & model ： Bipolar cup is made of Co-Cr-Mo alloy with mirror polish, which reduces the friction coefficient to the minimum extent. Locking design: easy to install and avoid head dislocation. Push with the key when revision surgery is needed or the ball head should be changed. 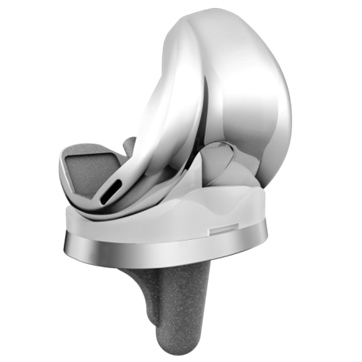 Two-center design ensures the hip joint has the greatest motion range and the lowest wear. Condyle front position osteotomy, avoid NOTCHING phenomenon happened. 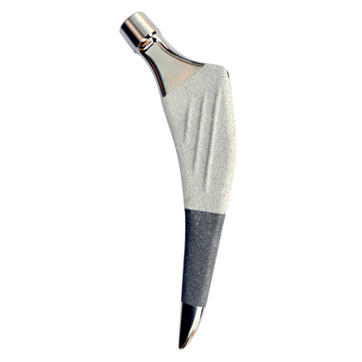 Both sides of condyle arc design reduce the pressure of soft tissue. The narrowed femoral front edge prevents patellar pain. Anatomical arc angle of both condyle’s sides decreases soft tissue’s pressure. Semi-closed box design of intercondylar reduces the wear of plateau cam-post. 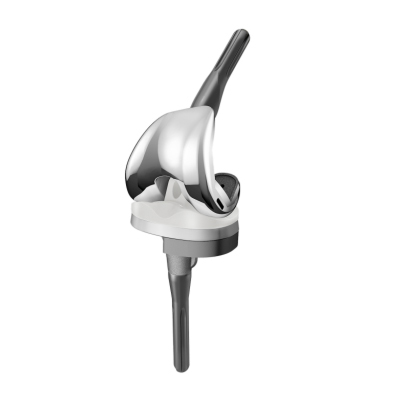 Deeper trochlea and lengthier recess makes patellar begin trochlear movement earlier, which prevents patient from complications such as patellar dislocation, squeaking and pain. 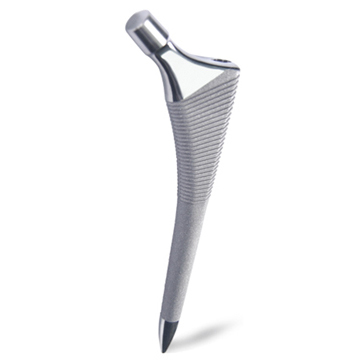 Extend and shorten posterior condyle design, which reduces posterior capsule’s tension and allows rotation with keeping stability when high flexion. The maximum flexion reach 150 degree. 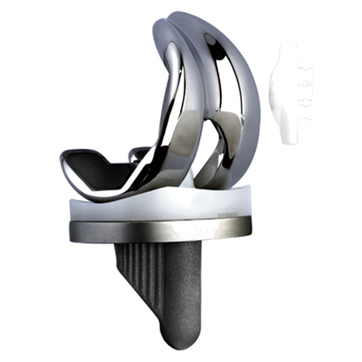 The design of deep notch in front of the insert reduces the adverse effects for patellar ligament on high flexion. Ribs on the tibia tray provide great primary stability. Rheumatoid spondylitis or ankylosing spondylitis. Degenerative knee joint, narrow joint space with varus, valgus or flexion contracture. Joint pain and dysfunction caused by other non-infective arthritis. Combination of international advanced design philosophy and anatomical bone features of national population. Anatomical prosthesis best matches with human body. Open intercondylar design reduces bone resection. Deeper trochear recess enables good contact with patella when taking high flexion and prevents dislocation. 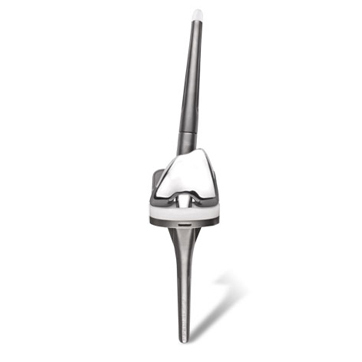 Single radius of tibial insert and femoral condylar effectively increase contact area and assures the motion stability of ligaments. 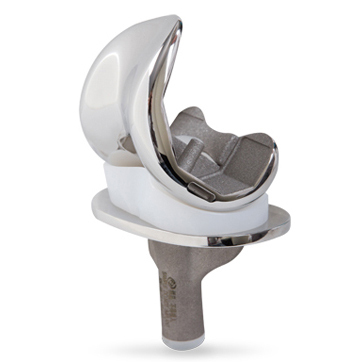 Tri-fin design of tibial plateau distributes load evenly and enhances anti-rotation. 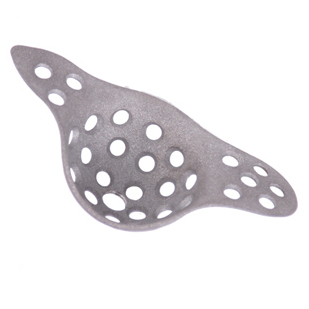 Provide PS and CR prosthesis; various sizes available. Precise, simple and practical instruments. 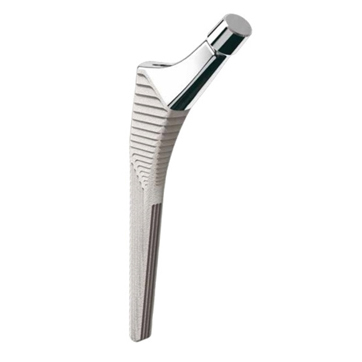 Femoral condyle: CO-Cr-Mo alloy, 6 sizes for each left and right side, with screws locking Intramedullary extension stem. Insert: 6 sizes, 6 thickness sizes for screw locking tibia bases, enhance the stability. 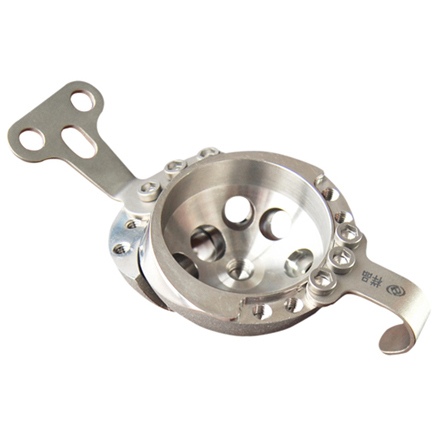 Tibia tray: Co-Cr-Mo alloy, 6 sizes, all-enveloped design, reduce the micromotion with insert. Augment 1 (posterior condyle / distal ): Tiscrew to fix. Augment 1 (tibial / tibial half-tilt / tibialtilt ): Ti screw to fix.